At Eye World you will be greeted by our friendly staff who is there to help you every step of the way. Eye World is family-owned and operated since 2002. ﻿﻿We strive to make our patients happy by treating each person with respect and professionalism. 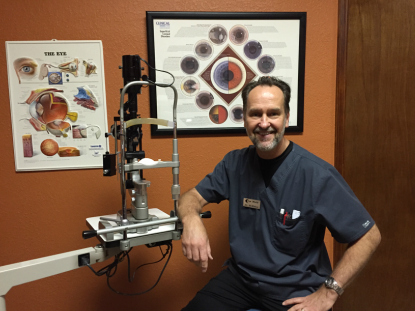 Dr. McMahon has over 30 years of experience as a Therapeutic Optometrist, and provides comprehensive eye care for the entire family. He focuses on visual performance, detecting eye disease, contact lenses, and co-management of surgical vision correction. Dr. McMahon is a Diplomat by the American Board of Optometry.